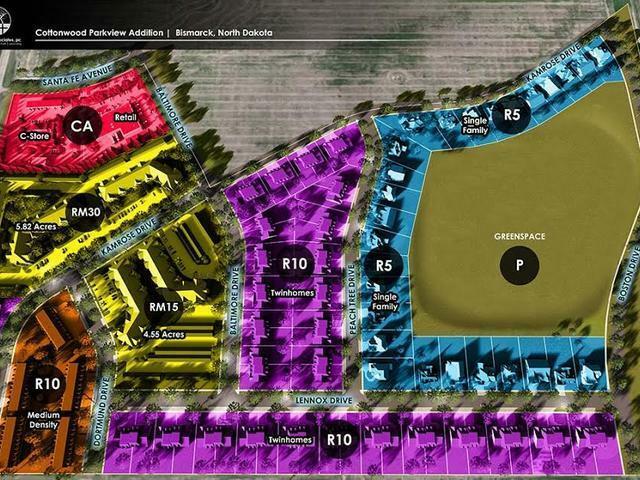 5.82 acres (more or less) located in thriving south Bismarck. Priced at $5.50 per square foot. Real estate tax and special assessment information available from the City of Bismarck. Corner of S. Washington and Santa Fe See www.cottonwoodparkviewaddition.com for more property info.